Compiled by an unknown adventurer, this book contains 25 short stories written by those who stood beside the legends of the past. “The Hunt Begins” offers a glimpse into Zenos’ past. “The Players and the Pawns” details the struggles of Hancock and Tataru in Kugane. ”Ever After” features Hien and the recovery efforts of Doma. “The Samurai Who Couldn't Die” follows Gosetsu on his travels after the events in the game. 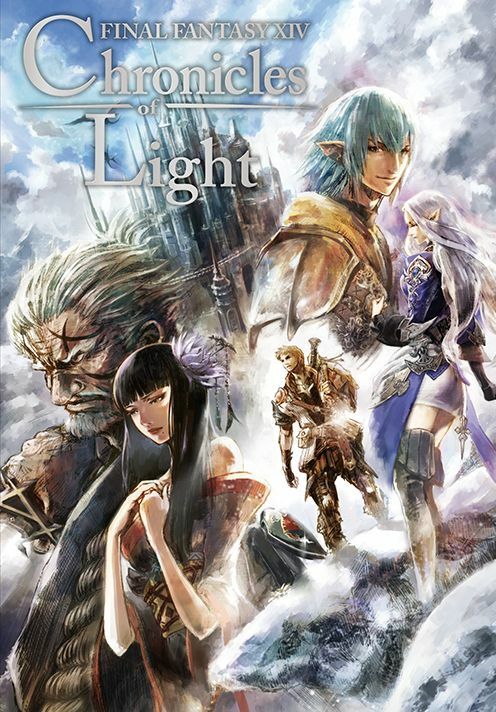 The book also features cover artwork and illustrations (one per story) drawn by Toshiyuki Itahana (FINAL FANTASY XIV, FINAL FANTASY Crystal Chronicles, Chocobo’s Mysterious Dungeon) specifically for this book. PLEASE NOTE: Copies of “FINAL FANTASY XIV: Chronicles of Light purchased for either the UK / EU Store will be localised into English. Copies bought from the FR store will be localised into French. Copies bought from the DE Store will be localised into German.